Let’s say you have a current webMethods version 6.5 and you’re upgrading to version 8, but all subsystems are not upgrading. 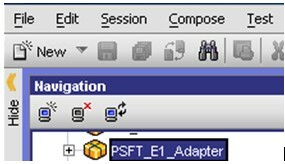 The webMethods Enterprise one adapter (8.96 one-off Adapter for XPI 8.94) which came with the installation of webMethods 6.5 will be replaced when you install a new Enterprise one adapter in version 8. It can be that your JDE environment is old and that the adapter of version 6.5 is the latest supported version. How can it be used now on webMethods version 8. First step: Export the current Enterprise one adapter from version 6.5 (Developer -> export) and save it on your machine. 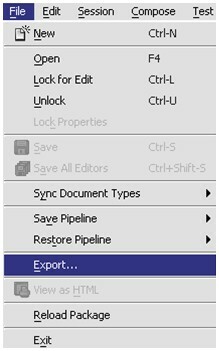 Now copy this export in the replicate -> inbound folder of your new version 8 installation. Before you can install this package, you need to install the PSFT_PackageManagement package first. Once that package is installed, open it’s pub page. Click install inbound releases and select your exported zip file. The Enterprise one adapter from version 6.5 is now installed and your new webMethods version 8 installation can work with old JDE systems.